We do not curently have theatre tickets available for Chris De Burgh. This could be because we have simply sold out or it could be that this show is no longer running. The information on this page remains purely for historical and informational purposes. 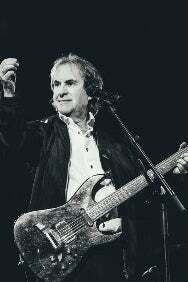 Singer-songwriter Chris de Burgh returns to the Royal Albert Hall in October 2019 to perform Into The Light& and Moonfleet & Other Stories&, two of his most outstanding recordings, back to back and in their entirety, as part of his Classic Albums Tour. Between them, Into The Light& and Moonfleet & Other Stories& encompass 36 tracks, including Chris’ undeniable evergreen classic Lady In Red&, which Chris will perform in concert with full band.